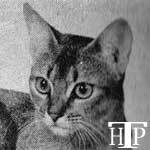 The Abyssinian is a much admired and treasured breed throughout the world, yet it is one whose origins are steeped in mystery. 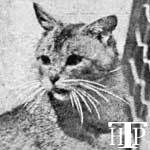 There is written historical evidence that a cat, called an Abyssinian, was imported into Britain in the latter part of the 19th century, specifically during the era of the Abyssinian War (1867-1868). 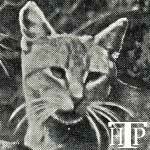 It is said that when the British troops departed from Ethiopia, they "took a large number of treasures"1 with them. 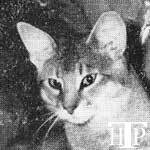 Should we speculate whether the Abyssinian cat was one such treasure? 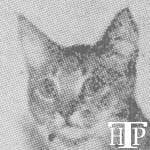 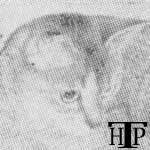 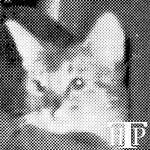 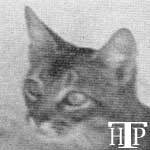 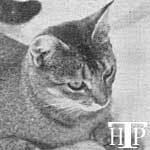 Printed news reports indicate that an Abyssinian cat was exhibited at the second cat show held at the famous Crystal Palace in London, England, on December 16, 1871. 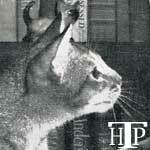 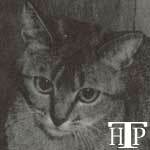 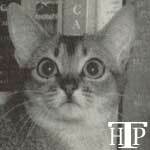 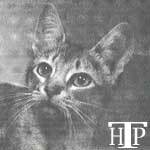 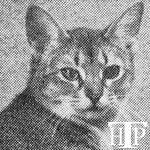 In a January, 1872 newspaper article, it is reported that "the third prize was taken by the Abyssinian cat"2 . 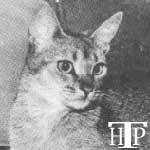 The report further describes the exhibit as "captured in the late Abyssinian war, and was most remarkable for her woe-begone appearance, seemingly discontented at her sudden elevation into notoriety, and longing for her barbaric freedom in the good old days of King Theodore"2. 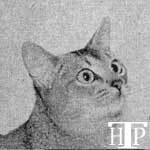 An 1874 book by W. Gordon Stables, Cats: Their Points and Classification, includes a color lithograph titled "Abissinian [sic]" with a notation that the cat is "the Property of Mrs. Captain Barrett Lennard". 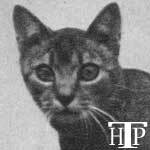 The cat is further identified within the book as "ZULA" who was "brought from Abissinia [sic] at the conclusion of the War. 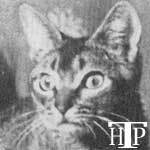 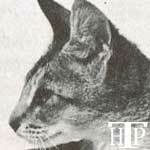 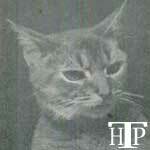 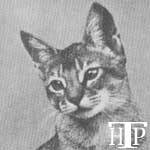 "3 Most likely, Zula was the Abyssinian exhibited at the Crystal Palace Show in 1871. 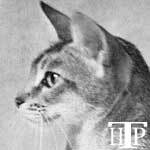 Ethiopia, a country historically known as Abyssinia4, can thus logically be determined to be the source of the first acknowledged and recognized cat of the Abyssinian breed. 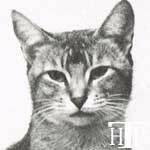 If we concede that Ethiopia is indeed the "logical" origin of the Abyssinian breed, as we know it, it is not too far of a stretch to also believe numerous sources when they say that the Abyssinian resembles the paintings and sculptures of ancient Egyptian cats. 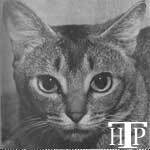 The close proximity of the two countries - both in northeastern Africa with early inhabitants belonging to nomadic tribes - could easily sustain a theory that the cats so revered in ancient Egypt migrated south to Ethiopia at some point, were taken to England after the Abyssinian War, and there became the basis of the Abyssinian breed. 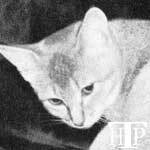 "Sir Joshua's cats were never written about as Zula was, probably because he kept them merely for the fun of breeding kittens. 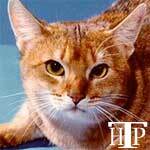 But, if you find this theory of the breed origin at all believable, there are also those who say it's all hogwash! 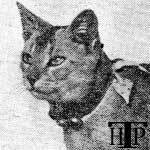 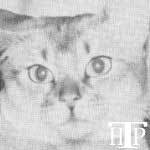 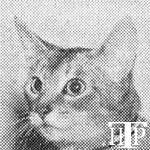 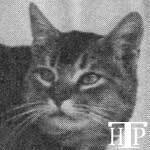 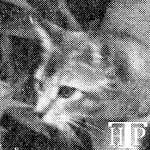 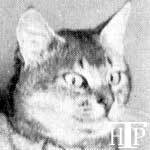 Hilary Scathard, in the 1973-1974 Cat Lover's Journal, states that the Barrett-Lennard family can find no record of the Captain ever having served in Ethiopia. 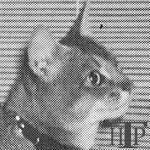 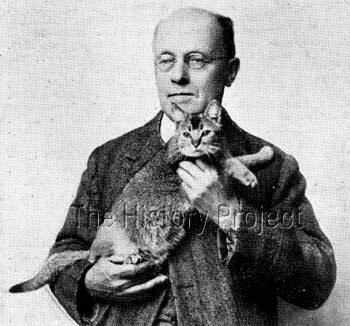 Scathard goes on to relate that "Mr. Sydney Denham, then chairman of the Abyssinian Cat Club, wrote to the Ethiopian Embassy who disclaimed all knowledge of cats in Ethiopia resembling our Abyssinians …7"
However, none of the Abyssinian Cat Club's research addresses the statement in Mrs. Winsor's article, confirming the importation of Abyssinian cats from Abyssinia, and the reported breeding of these cats to continue the breed. 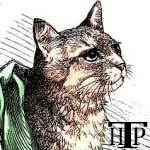 So, the ultimate question is, what is the truth? 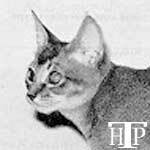 In simple fact, we just don't know the origins of the Abyssinian breed and, while we can speculate as much as we want, we will probably never be able to accurately document the beginnings of the breed. 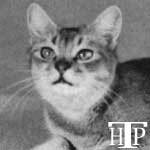 Regardless of the proof in the theories put forth, or lack thereof, we recognize that the Abyssinian cats of today are stunning examples of the diligence of early British breeders, among them Mr. Sam Woodiwiss and Mrs. Constance Carew Cox, and it is they who have earned the credit for the beginnings and early evolution of the Abyssinian as a true breed. 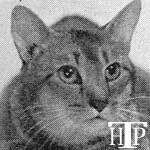 Aficionados of the Abyssinian breed owe them our gratitude. 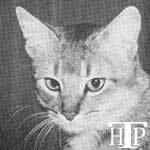 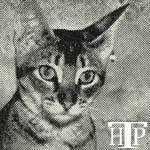 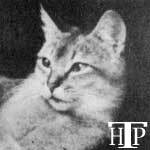 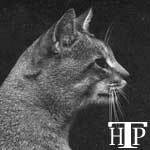 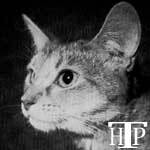 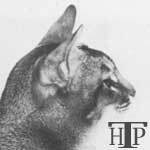 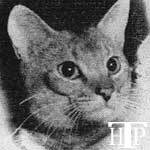 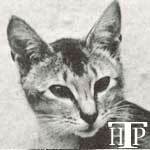 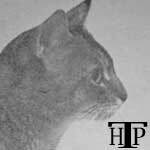 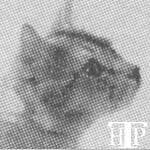 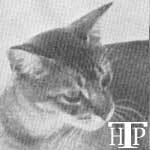 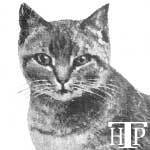 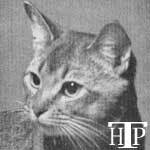 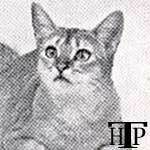 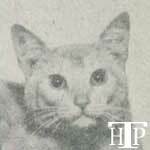 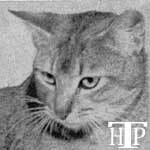 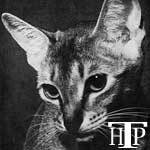 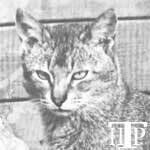 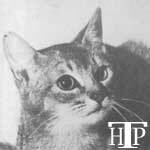 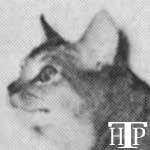 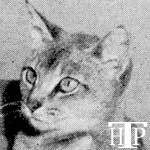 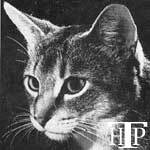 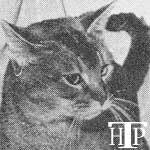 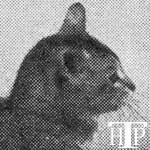 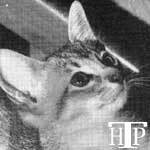 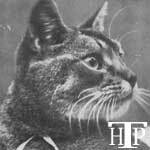 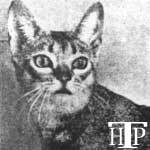 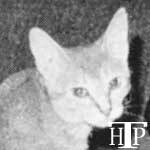 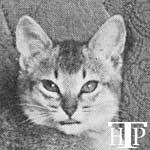 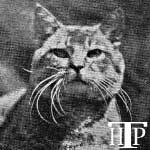 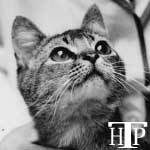 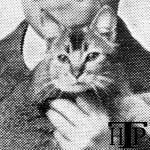 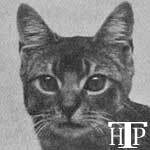 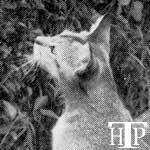 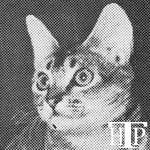 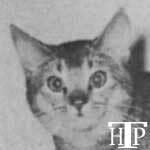 In 1929, Mr. H.C. Brooke wrote, "The general appearance of the Abyssinian is that of a rather small and very elegantly built cat, with graceful slender limbs, elegant head, with rather large ears and lustrous eyes."1. 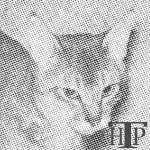 This observation could easily apply to the Abyssinian that we see in fairly large numbers at cat shows throughout the world today. 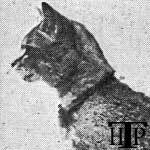 It's comforting to know that the vision of the breed appears not to have changed much in over 80 years! 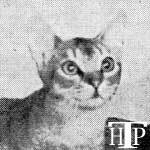 Kooky's Susuki Cirmos Mehir Abyseal Jade Chota-Li R.S.T.